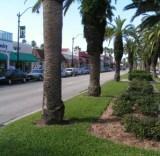 Venice Florida is a pleasant beach community of 21,000 people located mid-way down the coast on the Gulf of Mexico. Originally developed in 1925 by the Brotherhood of Locomotive Engineers as a planned retirement community, Venice is named after the many canals and rivers running through it. Thanks to its central planning. Just a few short blocks from the downtown is one of Florida’s best Gulf Coast beaches, offering the whitest of sand. The real estate market has been very soft as it attempts to recover from speculation, over building, plus the hurricanes of 2005. Prices are historically lower than in Naples. After soaring to an average selling price of $300,000 in 2006, Zillow reported the median home value at $244,900 in late 2018. 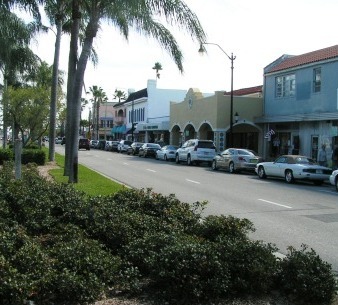 Venice is well down the west coast of Florida, south of Tampa and Sarasota. Roberts Bay, the Gulf, and several rivers provide an extensive waterfront. The city takes pride in its many parades, art fests, nationally award-winning community theater, and preserved natural environments.The Venice Symphony offers many concerts. The Arts Cultural Alliance is very active. Concerts are held several times weekly in the Centennial Park Gazebo. There is a beautiful new library downtown. Sarasota/Bradenton Airport is 22 miles away. There is also an AMTRAK station in Sarasota.